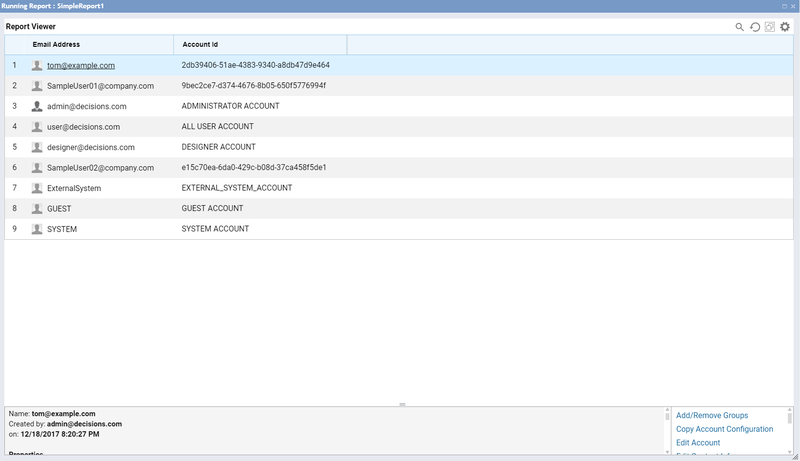 Reports that are registered in the workflow catalog can be retrieved by users outside of the portal, but can still be controlled with the same access rules and permissions. 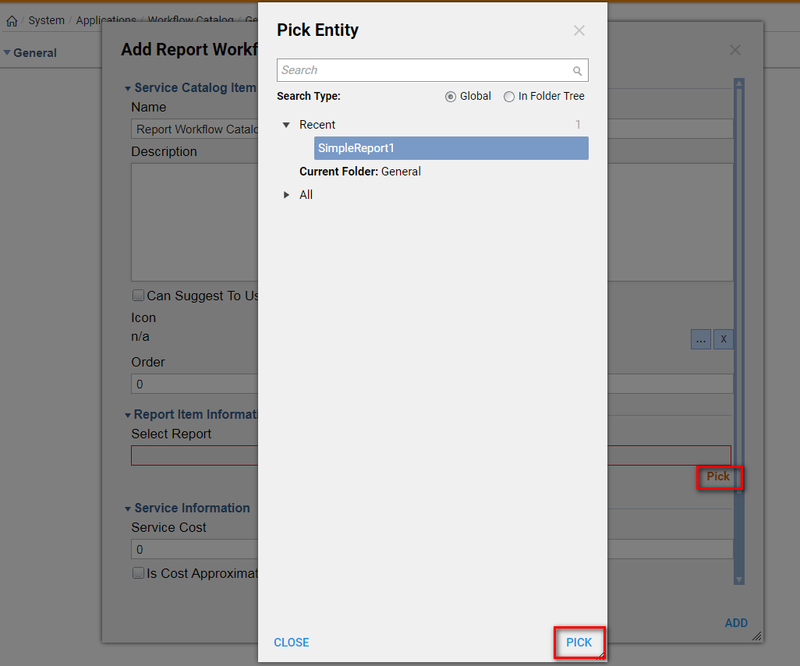 To add a report to the service catalog, navigate to the Workflow Catalog	folder, orWorkflow Catalog	category sub-folder , and select Add Catalog Item > Add Report	from the Actions	menu. 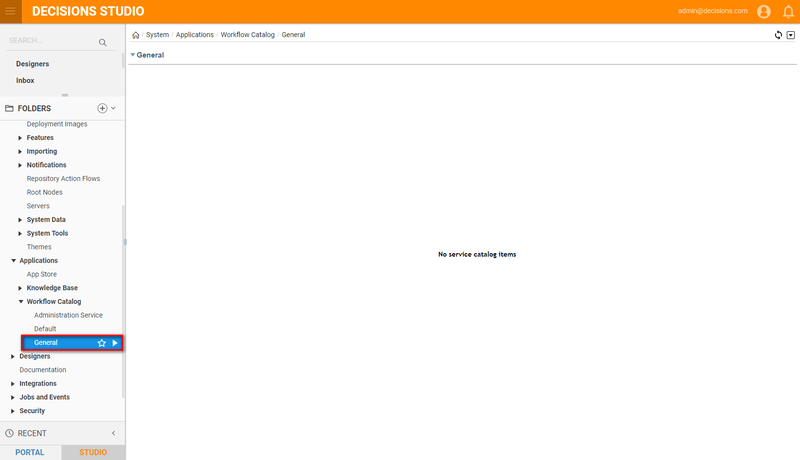 To begin, we will navigate to the folder System > Applications >	Workflow Catalog > General	. 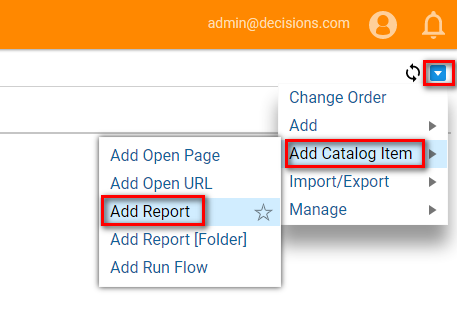 We will click the Actions button and select Add Catalog Item > Add Report	. In the Add Report Workflow Catalog Item pop-up, we will enter the name of the report in the Name	field. Under Report Item Information	section, we use the Select Report	drop-down list to select the report to be retrieved as a service. 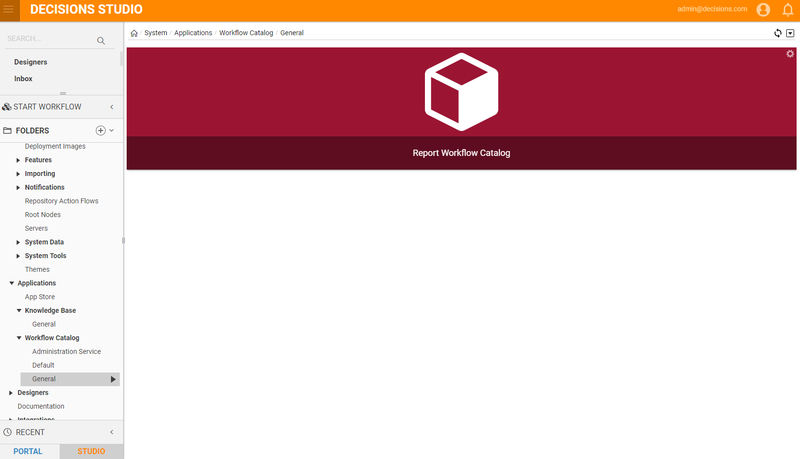 Back in the General	category of the Workflow Catalog, we will click the newly added report service to launch it. Our report will be retrieved and displayed in the resulting pop-up.